Violet Seashells Cellophane Roll 24 inches wide x 50 ft long. 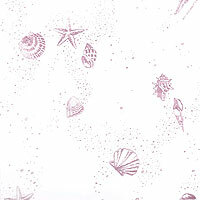 Pretty seashells scattered among grains of sand in a pretty light purple color. Background is clear.